Plus History, Trivia and More! The New Mexico Transportation History Project is a not-for-profit organization working to record and preserve the history of motor vehicles in the state of New Mexico. This website provides a visual account of a particularly important aspect of that work, i.e., the history of motor vehicle registration and licensing, including a permanent photographic record of every type of New Mexico license plate which has been issued from Territorial days to present. 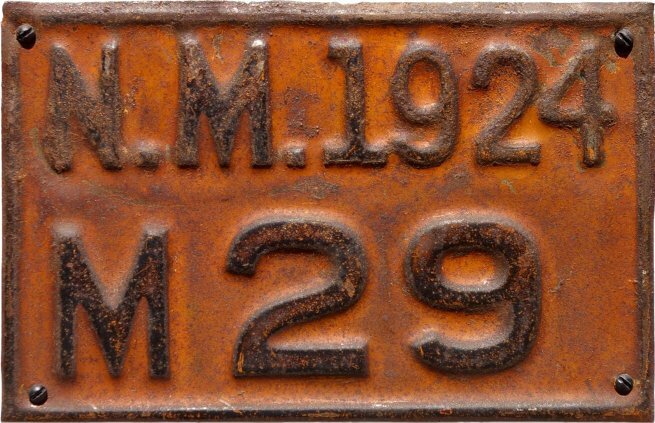 The photos begin with the Territorial “pre-state” tags issued by certain municipalities starting in 1910, then continue with the state-issued plates which first appeared shortly after statehood was attained in early 1912. Multiple styles of some types of plates exist and you will find most of those varieties illustrated as well. 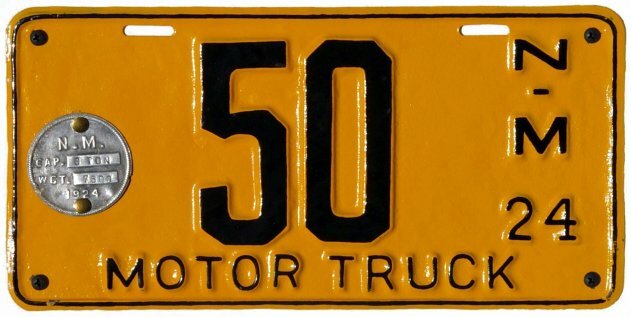 We also include photos of many related items such as early vehicle titles and registration certificates, driver’s licenses, chauffeur badges, tribal plates, error plates, Highway Department signs and maps, plates issued by U.S. military installations within New Mexico, and so forth. 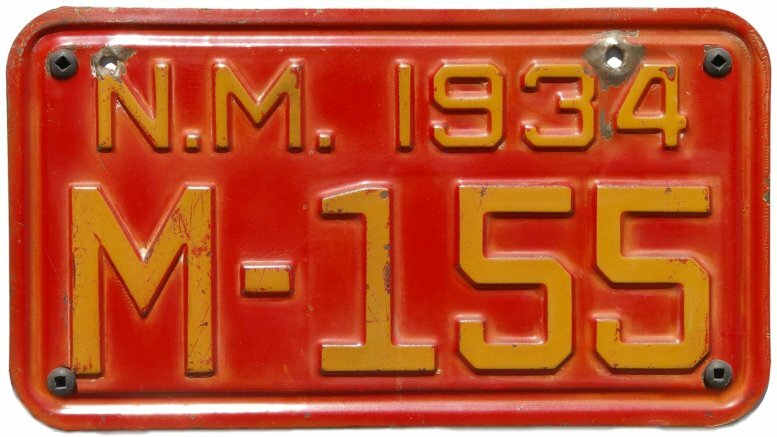 All of the photographs seen here are from the book Early New Mexico License Plates by Bill Johnston, and/or from the NMTHP archives. 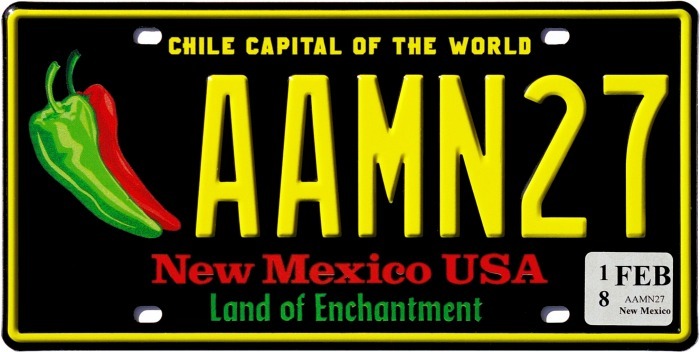 NMTHP would like to hear from you... Do you have an old New Mexico license plate that you would like to know more about, or that you would like to donate or sell to our organization? If so please contact us! Let us know of any errors you see, whether typographical, factual, or otherwise.